Christmas is quickly approaching. Seems like just a few months ago we were running around at the last minute grabbing anything we thought the receiver might slightly like due to our own procrastination we can’t ever get past. I’ve compiled a list of goodies that any outdoorsman will surely enjoy and won’t be just another gadget stuffed in the closet collecting dust until the annual spring-cleaning garage sale. Retails for $629 plus shipping. I was lucky enough to get one of these a couple of years ago for Father’s day and would quickly replace it tomorrow if something happened to it today. The Grill Dome is made of thick ceramics, finished in 5 attractive colors and topped off with solid stainless steel hardware. 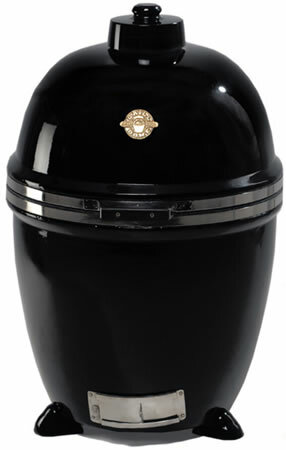 The Grill Dome is capable of maintaining low temperatures for smoking meat or scorching high temperatures for searing steaks. I’ve maintained a temp of 225 for almost 24 hours straight on a single load of lump charcoal and had it over 700 degrees for searing a round of steaks. I’ve cooked sourdough bread, peach cobbler and pizzas that rival any restaurant. Trust me, after cooking steaks on a Grill Dome, you’ll have a hard time ordering steaks in a restaurant, they just don’t compare. Prices on this vary based on how large and how detailed your metal piece is. All pieces are created solely by artist Jerry Kirby of Torchcraft, owner and operator. All pieces are custom designed and require at least a week or two to complete but are well worth the wait. If you get the chance to stop by Torchcraft located in Pleasanton, TX about 30 miles south of San Antonio, you’ll easily spend an hour just looking through his photo albums of past orders and end up wanting a little bit of everything. One really neat piece that Jerry made is a replica of a trophy elk which is featured on his website. What a great alternative to mounting a deer or elk, just take a good picture of your trophy, (make sure the pic can convert into a good silhouette cut out) and send it to Jerry. He’s been doing this for about 30 years and is full of great ideas on how to make it special for your loved one. Next thing you know Santa is delivering a package to your door that will be admired by everyone. Or he might need a 30 foot flatbed trailer to haul it home, thats what I'm hoping for. Any serious hunter wants to get out and scout their hunting area at least a couple of weeks before the hunt. What better way to do that than from the comfort of your own home while your Game Cam does all the hard work. 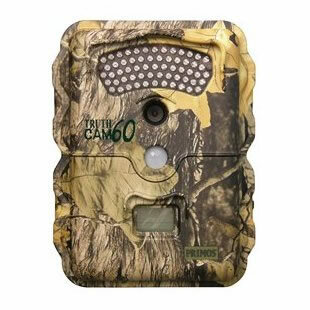 Most trail cams are pretty good these days; it just depends on how many bells and whistles you’re willing to pay for. Prices usually range from about $80 to over $200. At a minimum you’ll want at least 3.0 megapixels, expandable memory card slot, capability of night shots, and a 40-foot plus flash range. Most cameras on the market these days meet these requirements and can be bought just about anywhere that sales sporting goods. I would recommend reading reviews on the specific game cam on a website like Cabelas, Amazon or Bass Pro Shops when making your selection. There are a hand full of companies based right here in Texas that are producing camo prints specifically designed to blend into the Texas landscape. 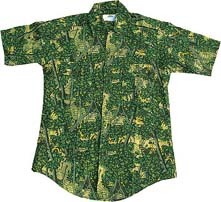 While most of these camo patterns are designed for ideal concealment when hunting in Texas, you can confidently hunt amongst the pinon trees of New Mexico or the cypress trees of Louisiana without a worry. Which ever brand of Texas Camo you go with, feel good about your purchase knowing that you’re supporting growing Texas based businesses. Most spice rubs available to us at the local supermarket are loaded with salt, preservatives, anti-caking agents and worst of all MSG. I’ve recently been turned on to a couple of companies that are making high quality and extremely tasty spice rubs without all the unnatural additives. Both companies’ produce proven rubs with numerous awards and competition wins to prove themselves. SuckleBusters claims “No Bad Stuff” and guarantees the be free of artificial ingredients, MSG, beached ingredients, products with genetically altered enzymes, hydrogenated oil, hydrolyzed oils, filler, anti-caking agents, chemicals or products that require excessive amounts of processing. So what does all this mean? A better tasting end product. 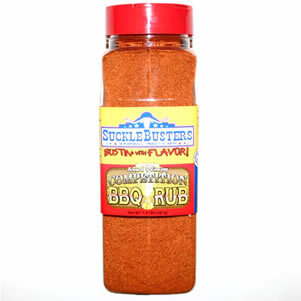 SuckleBusters puts together gift baskets of their most popular rubs and sauces at a very reasonable price. One of these baskets is sure to please the cook in your family. 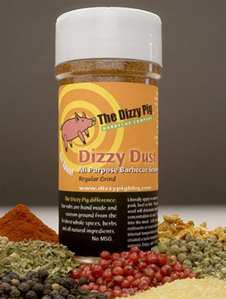 Dizzy Pig Rub also makes tasty rubs without all the unnatural additives. Choose from a variety of preselected gift baskets or build your own from a selection of 13 different rubs. Choose a preselected gift basket and they’ll include samples of the other rubs they offer. I would personally recommend Dizzy Dust BBQ Rub, Raising The Steaks, Raging River and Pineapple Head.